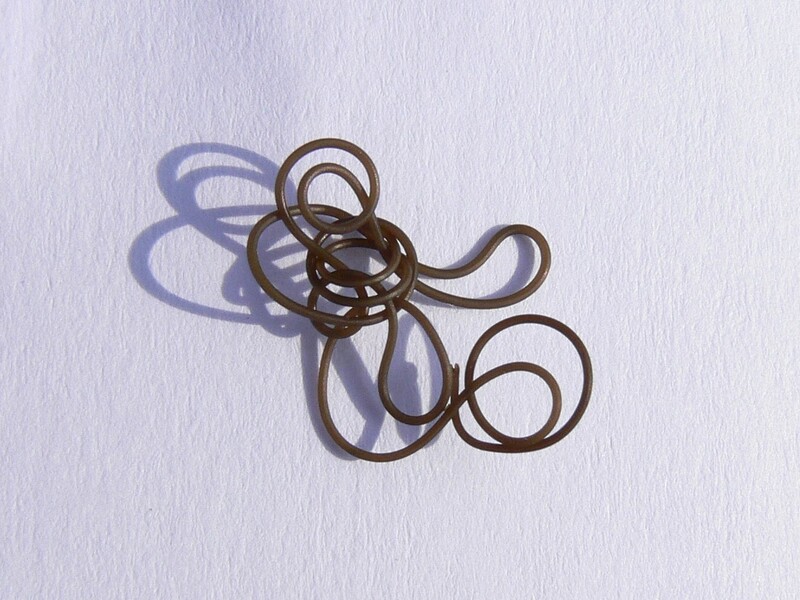 The common names for the Nematomorph are “Gordian Worm” due to its ability to tie itself into knots, and “Horsehair Worm” due to its size and appearance (~150mm x 1mm). It lives in still or slow moving water. It has a macabre lifecycle. The adult (pictured here) lays its eggs in water. After hatching, the parasitic larvae are eaten and go through a series of stages in different hosts culminating in an insect host such as a beetle or grasshopper. 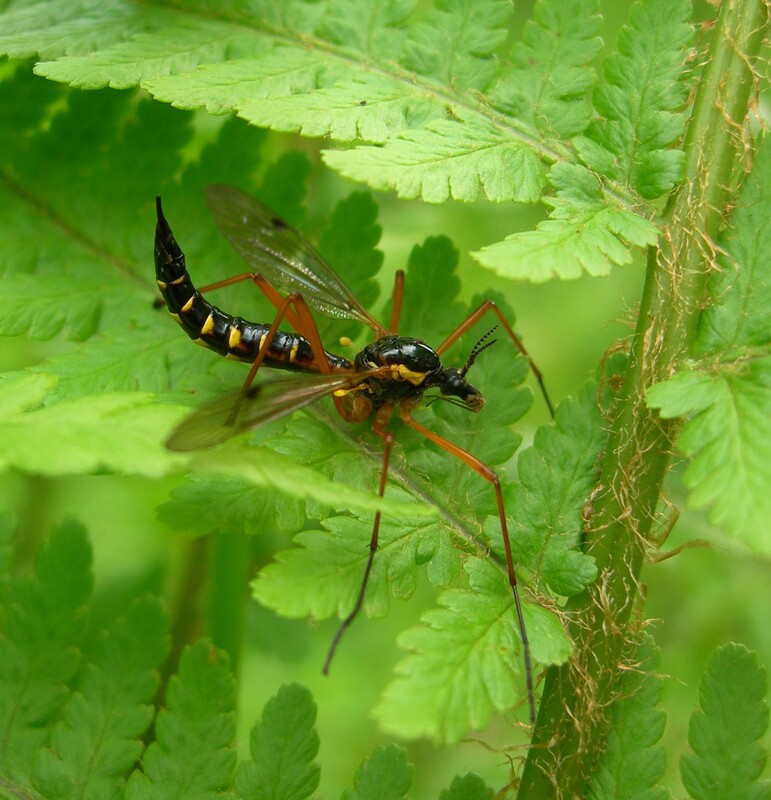 When the adult is ready to emerge, it is thought that it produces a hormone which causes the host insect to drown itself so that the adult can emerge in water to lay the next generation of eggs. 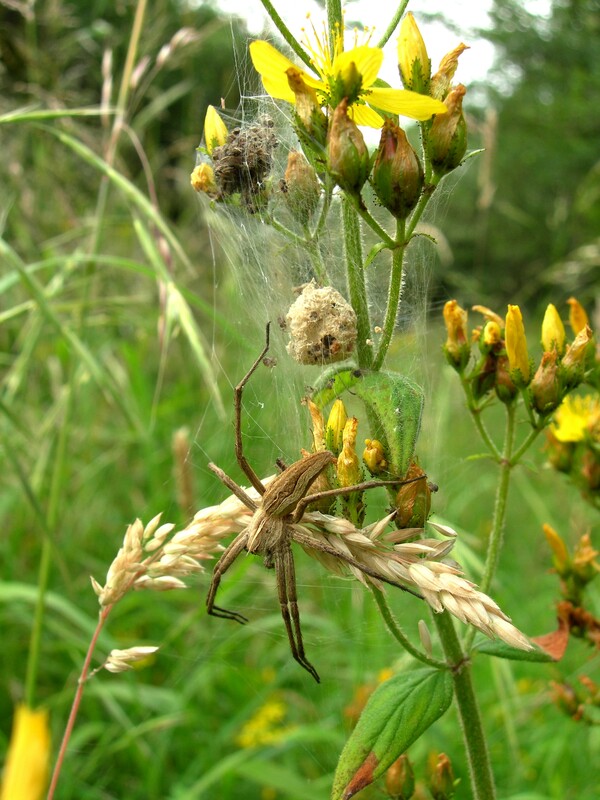 The Nursery-web spider, Pisaura mirabilis. Although there are only a handfull of records for our vice county (VC64), Ox Close has a healthy population of these arachnids. Photo © R. Baker. 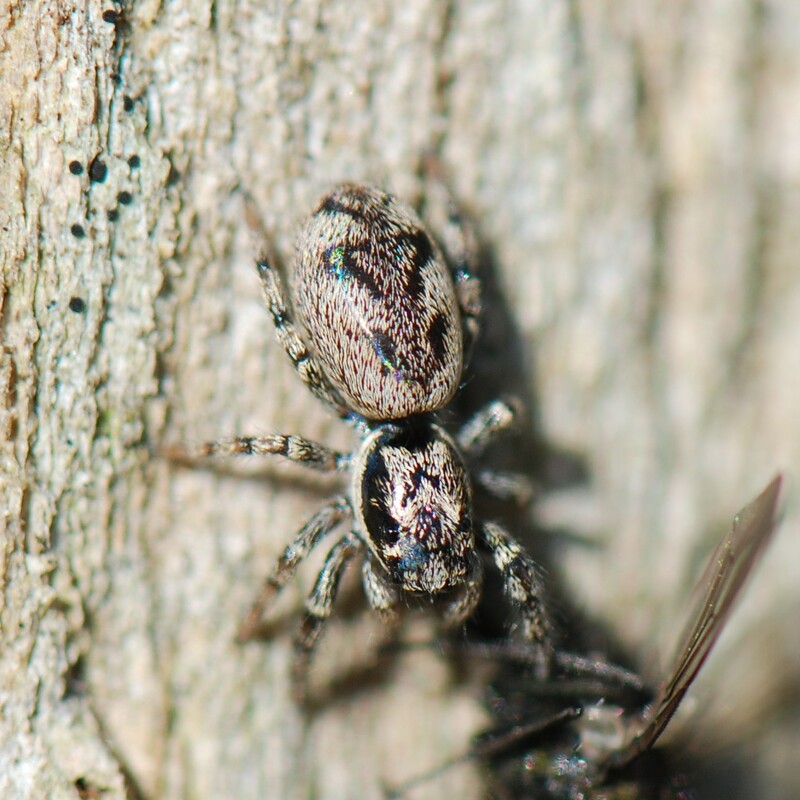 One of the Jumping Spiders, Salticus cingulatus, is a local species often found on fence posts in the sun. Jumping spiders can jump up to 50 times their own length by suddenly increasing the blood pressure in the rear two pairs of legs. Spiders’ legs do not have extensor muscles. Instead they extend their legs by hydraulic pressure. As a result, a spider with a punctured front half of its body (called the cephalothorax) cannot extend its legs, and is why the legs of a dead spider curl up. Jumping spiders can jump up to 50 times their own length by suddenly increasing the blood pressure in the rear two pairs of legs. Most spiders have poor vision and will rely on tactile and chemical cues. Orb-web species (such as Araneus spp. ), have poorly developed vision; their main sense will be detecting vibration via the web. Those species that directly hunt prey e.g. jumping spiders such as the ‘zebra-spider’ (Salticus scenicus) have more acute vision and have evolved specialist eyes to detect and focus on prey. They can follow a moving object from a considerable distance, i.e. a few inches away – not bad for such a small creature. 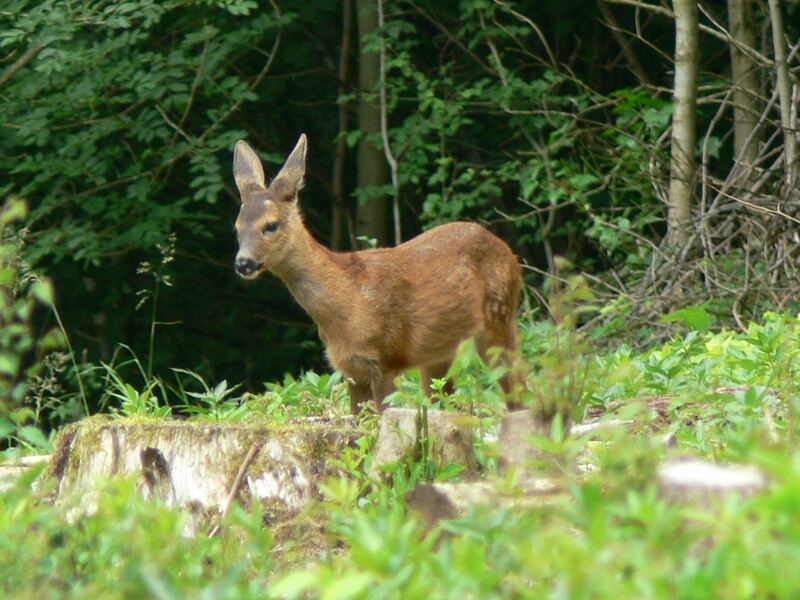 Up to four Roe Deer are frequently seen in the wood.